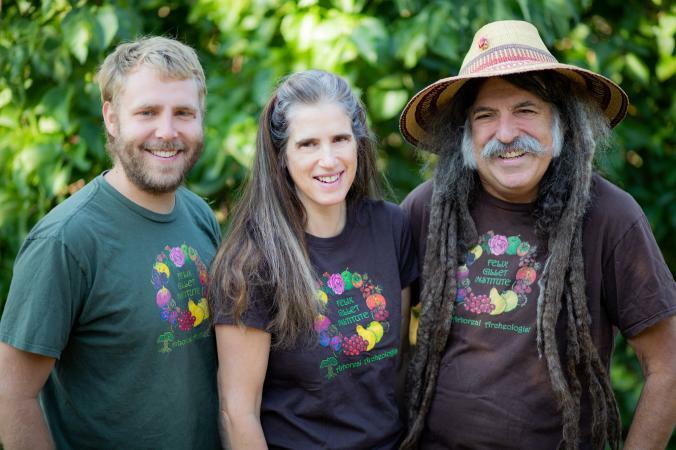 “Amigo Bob Cantisano, managing partner of the Heaven and Earth Farm on the San Juan Ridge, is one of the most influential figures in California organic agriculture,” as we wrote in the spring 2016 issue of our magazine. 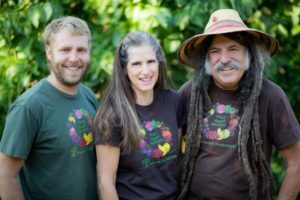 We discussed Amigo Bob’s role in working with Smith Vineyards to tend their 10-acre certified organic vineyard near Grass Valley. Our new issue, which begins circulating this weekend, discusses our area’s local heirloom fruit and “Evolution of Organic,” a popular documentary featuring Amigo Bob and other locals. This week, National Geographic chose Amigo Bob, his agricultural-focused institute, and the Gold Rush-era heirloom fruit orchard that he co-founded in North San Juan for a major feature story for 2018 World Food Day. It is another sign of the national attention that our area is receiving for our “food, wine and art” economy — in this case “what a Gold Rush-era orchard could mean for the future of food.” The long article, which includes stunning photographs, is HERE. The Felix Gillet Institute was founded in 2003 by Amigo Bob Cantisano to identify, preserve and propagate the best of the varieties still thriving in the mining camps, farms, homesteads and towns of the Sierra, and elsewhere. The staff consists of Castisano, his wife Jenifer Blis and Adam Nuber. Starting in 1866, Felix Gillet of Nevada City imported, bred and introduced most of the plants that comprise the foundation of California and Pacific Northwest perennial fruit, grapes and nuts, as the institute’s website explains. The National Geographic article notes that “scientists are beginning to study whether rare heirloom plants, revived for their flavor, might be suited to endure a warmer world.” It continues: “On a Nevada County homestead nearly 50 years ago, Cantisano stumbled across a forgotten orchard harboring 100 heirloom trees, which had survived apparently untended for over a century. He’s now their volunteer custodian and also runs Heaven and Earth, an 11-acre organic farm in North San Juan.